Sean Trott competed in the Lee Valley Velopark Half-Marathon in the UK. Trott finished third in a time of 1:19:24, Barnaby Palmer clocked a winning time of 1:16:03, with Ben Toye second in 1:17:25. Trott covered the first mile in 5:49, before slowing down during the second mile clocking 6:02, 6:07 was the third mile time, followed by a time of 6:09 during the fourth mile. 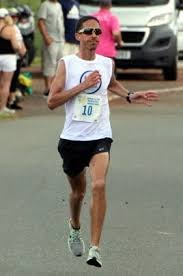 Trott picked up the pace slightly in the fifth mile with a time of 6:05, he would do the next mile in 6:04, 6:05 was performed in the seventh mile, which was followed by a time of 6:04 during mile 8. Mile nine was covered in 6:07 by Trott, followed by 6:04 during the 10th mile, mile eleven was covered in a time of 6:01 and the final mile was clocked at 6:03.